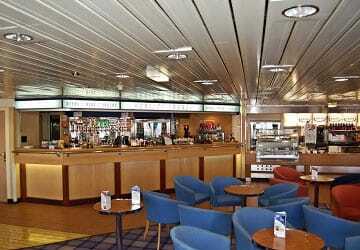 The P&O Ferries Pride of Kent ferry lets you experience a little luxury on your trip across the channel. Onboard you will find a food court, bar and cafe, a shop, brasserie, games room, family lounge, children's play area, bureau de change and an exclusive club lounge. 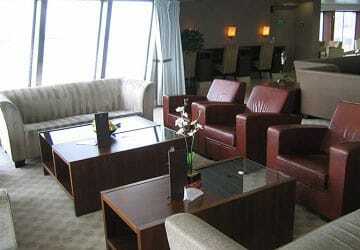 There are no passenger cabins onboard however seating is available in the club class lounge. 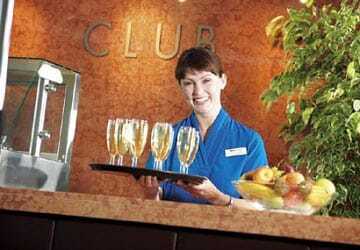 Pre-book to enjoy a touch of luxury during your channel crossing including a complimentary glass of champagne, tea, coffee, soft drinks and newspapers – all served by friendly stewards. 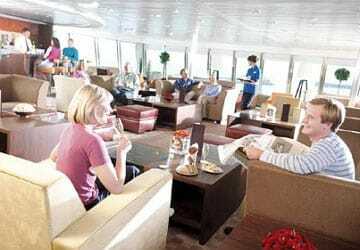 There's a choice of bars and restaurants to suit all tastes and pockets on the Pride of Kent. The Food Court serves exciting cuisine from around the world while the brasserie offers the highest quality food and wine served directly to your table. 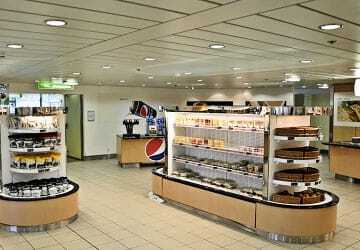 The onboard coffee shops serve a selection of light snacks and pastries as well as a wide range of hot and cold drinks. Head to the Bar for a fun and lively atmosphere or to socialise whilst enjoying a drink. For those travelling with children there's family lounge which features comfortable seating with a bar, light snacks, tea, coffee and soft drinks on offer. You’ll also find wifi, video games arcade, commission free bureau de change and an ATM machine. 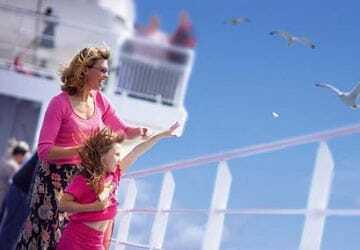 Children are well catered for onboard with a variety of activities, including play areas and quieter spots for watching videos. 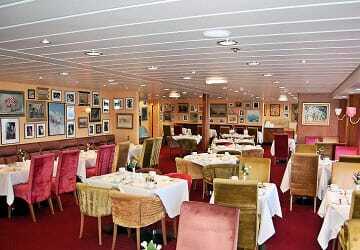 If you are planning to eat onboard, the Pride of Kent restaurants offer great value for kids. 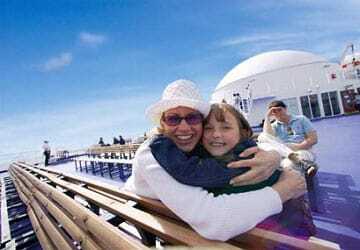 During the summer months you will usually find children's entertainers onboard too. Please Note: Whilst we have taken great care in making our Pride of Kent guide as accurate as possible, onboard facilities, services and entertainment may vary depending on the date and time of year that you travel, facilities mentioned may change without notification and ferry companies reserve the right to operate vessels other than those mentioned at time of booking without prior notification. "super efficeint and great staff "
"Ship fine Calais delay disgusting "
Absolutely no complaints about the ship itself once we got on it - after a 2.5 hour delay in Calais despite having arrived 1 hour early for our designated ship as instructed it sailed without us due to the horrendous backlog and delay in getting through passport control. I have never seen anything like it however we shouldn’t moan too much apparently people who arrived later than us were delayed 5 hours at Calais so I suppose 2.5 hours doesn’t seem so bad in comparison. I travelled from Calais to Dover on the Pride of Kent. Nice boat. Getting a bit old though. But overall, a good experience. I travelled back on the Spirit of France. That was an even better experience as the boat is brand new. On both travels, the staff members were great. I may say as usual as I've been travelling with P&O for about 20 years now and I have never had to complain. 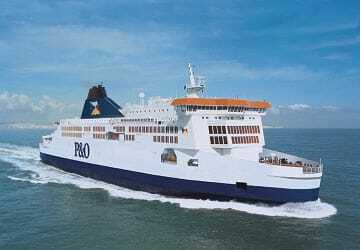 The P and O ferry from Calais to Dover was clean and tidy. We found the staff helpful ( we only had a cup of tea , but that was fine) and my missing purse was very quickly returned to me. Impressive! One small criticism - I found the general announcements hard to hear, and missed the safety announcements completely. Can they be a bit louder? Fast check in, efficient embarcation and departure without issues. Ship has all the facilities needed. Dover Calais is inexpensive and efficient (probably because of competition from the tunnel) - its a pity other routes (from Portsmouth to Caen, Cherbourg etc) seem so much more expensive. After a long traveling on the road and missed the time slots return back to Calais. Explain our reasons for missing it, no questions asked and was put on the next boat at no extra cost! Thank God we were skint. Staffs are brilliant and always willing to help. Overall one happy family of 2 adults and 7yrs old boy. A group of 11 travelled together, all processes were efficient and straightforward. 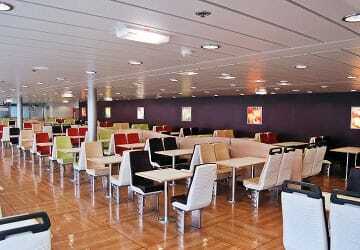 PO ferry was spacious, clean, with great facilties for eating and shopping, Lots of areas with seating so able to sit. Very punctual, journey was very quick, good phone connectivity. The kids absolutely loved it. Excellent. Easy to find, comfortable journey. no complaints. Wery good trip.No any problem. Nice and comfortable trip. We were at Dover nice and early, hence no queue which was great. It was perfect as it made the journey quite pleasant. The journey to Calais was only one and a half hours, so we ventured around the ferry. Found a comfortable place to sit with the family. It was a pleasant trip. On our return, it was also smooth sailing. We were early and fortunately they put us in the earlier ferry ( an hour early) which means we arrive UK even earlier that made it even better. 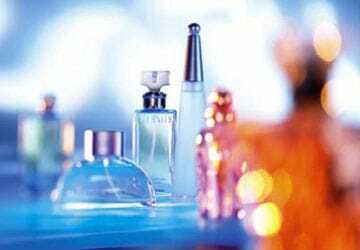 This time I managed to buy a duty free perfume which made my day. Again we found a nice place to sit and enjoyed family time. Overall the journey was lovely and pleasant.